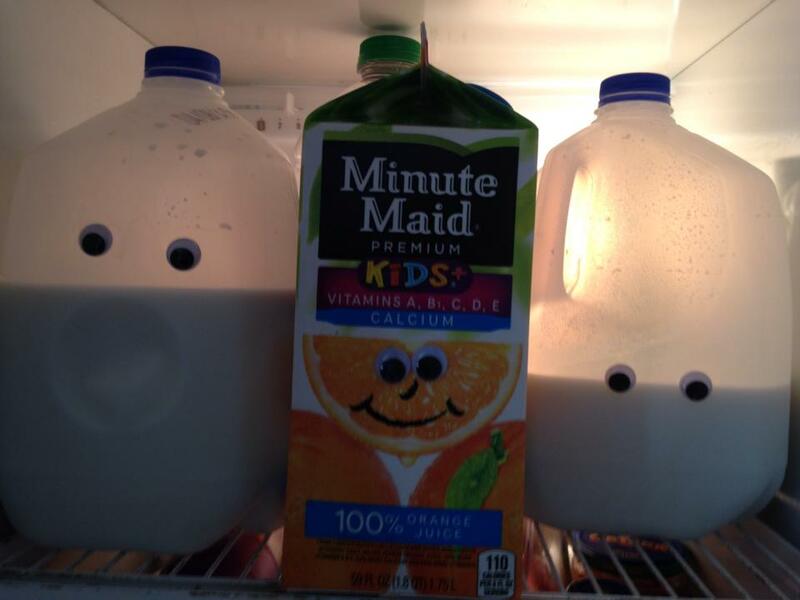 Last year, I glued googly eyes to all of the food in our refrigerator, swapped my kids’ clothes around into different dressers, and stuffed toilet paper into their shoes. 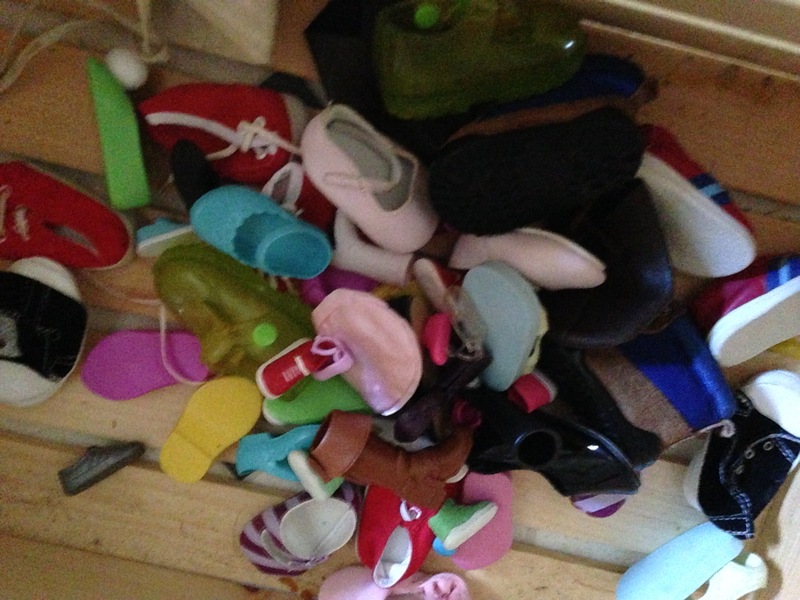 This year, I swapped out all of their regular shoes for doll shoes and acted like they shrunk over night. 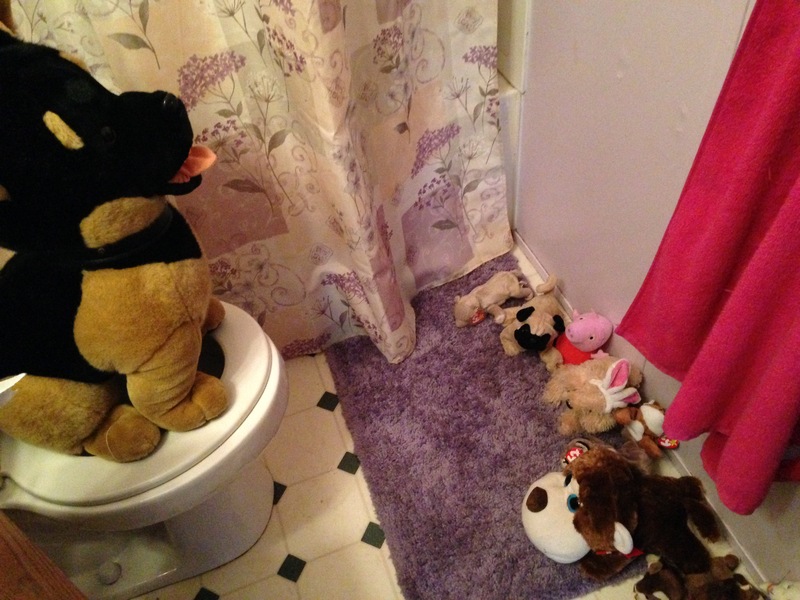 And, I lined up their stuffed animals in the bathroom as if they were all waiting for the toilet. I hate pranks. It’s just not my kind of humor. 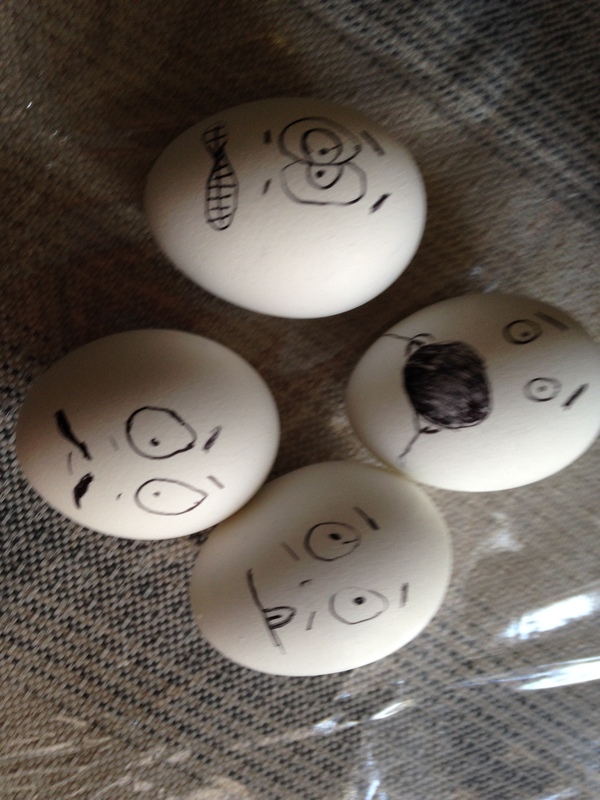 But I knew my kids would get a kick out of my April Fool’s fun, especially my one girl. Maybe my other kids would laugh at mom’s silliness, but this girl of mine would cackle. So, I’ve been lightening up a little and celebrating April Fool’s Day as a mom. It’s because I love my kids and I love this wacky, quirky, silly-joke-telling, comic-book-reading girl of mine. Maybe she teaches me a little how to choose joy. This world can batter us and beat us with depressing news and overwhelming sorrow. But we have Good News. God Himself came to earth in human flesh, received the punishment we deserve for our sin, died in our place and rose again, offering us eternal life with Him in heaven. This Good News should root itself deep into our hearts and make our lives blossom with joy. It’s an excitement that maybe the world just doesn’t get. Maybe they don’t understand. Maybe we miss it sometimes ourselves. We talk about Easter or new life in Christ like it’s blah, blah, blah….words in a book, something that happened a long time ago, information for our head never impacting our heart and life. Unfortunately, we become immune over time to the message’s impact. We forget the joy. We forget the wonder and excitement. And when we imagine Jesus Himself healing people and teaching them, so often we picture Him as a melancholy Savior, all staid, straight-laced and serious. When Jesus deftly sidestepped the theological traps laid by the Pharisees and Sadducees, I imagine He did it with an internal grin. As He delivered the revolutionary Sermon on the Mount, Jesus could not have been a boring monotone preacher. He held the crowd’s attention for two solid chapters worth of teaching in Matthew 5-7. There must have been some joy there! And I hardly think children would climb all over Jesus’ lap if He frowned and scowled and scolded. Jesus is a joy-filled Savior teaching us to live with the joy of God’s presence. Not that our life circumstances always make joy easy. Sometimes we feel like our “cup runneth over” and sometimes we feel like our cup is all poured out. What then? 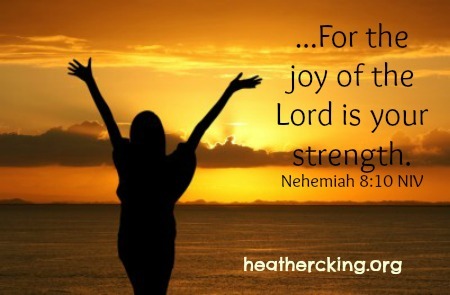 “Don’t be dejected and sad, for the joy of the Lord is your strength” (Nehemiah 8:10). We have our weak days, our weary days, our times of feeling out of control, confused, worried uncertain, scared, sad, and broken into a million pieces. Yet, the joy of the Lord is our strength. It’s not the fake, paste-on-a-smile joy or the pretend-like-the-world-is-perfect joy. It’s living fully confident that God is sovereign. We are in His hands and His hands can be trusted. That’s what gives us strength to face each day, that quiet assurance of His love and His might. So, we rejoice together when we consider the Good News of the Gospel. We rejoice in God’s presence, in His accessibility to us at all times, in His compassion, in His faithfulness and unfailing love. We rejoice in the journey of our faith, knowing that wherever He takes us, He is present there with us, even in darkness and long journeys through the valley. Love it! Your children’s daddy always loved jokes and puns. Some of the pranks people pull these days are NOT funny! Who needs more meanness and stress? Yes, the meanness is definitely not funny! James is so creative and great at these sorts of jokes. Much better than me (and so much like Lauren! ).